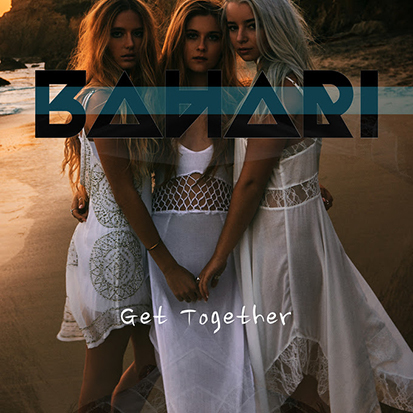 Bahari Drops A Timely Cover Of "Get Together"
Rising girl group Bahari hit the road in the video for "Dancing On The Sun." Your cheat sheet for the week's new releases featuring Billie Marten & Bahari. Zedd's new LP boasts features from Echosmith, Troye Sivan and Bahari. What better time to cover a ’60s classic that calls for peace, love and brotherhood? Bahari’s soothing version of The Youngbloods’ “Get Together” (you’ll know it when you hear it) is exactly what the doctor ordered — particularly today (January 20) with the country teetering on knife edge. The rising girl-group stays true to the original, letting the lyrics take center stage. That’s not to say the ladies don’t add their own flavor. It’s very casual and oddly Californian, which pretty much sums up their sound. Bahari has been building buzz since landing a feature on Zedd’s True Colors LP. (They voiced “Addicted To A Memory”). They followed that up with a support slot on Selena Gomez’s Revival Tour and properly introduced themselves to fans with beachy, ’60s throwback-pop anthem “Dancing On The Sun.” I assume “Get Together” is a stand-alone single, but it’s an important reminder there is an alternative to the girl group duopoly of Fifth Harmony and Little Mix. Listen to their cover below.